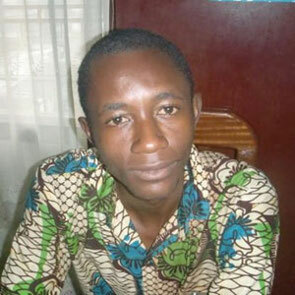 We, the undersigned organisations, are deeply troubled by the ongoing arbitrary detention of human rights defender Michel Biem Tong who was arrested on 23 October by Colonel Joël Émile Bamkoui at the Secretary of State for Defence in Yaoundé, Cameroon. At the time of his arrest, Michel Biem Tong was accused of supporting Anglophone separatist groups, and he was charged with glorifying terrorism. After four further appearances at the military tribunal court in Yaoundé, he has been charged on four counts: glorifying terrorism, false statements, incitement to crime and insulting the Head of State. He was transferred to the Kondengui central prison in Yaounde on 15 November 2018 where he risks receiving the death penalty if he is found guilty. He was officially refused visits in prison, and he was denied access to medical care; lawyers were denied access to his legal file. This judicial harassment follows Michel Biem Tong’s recent monitoring and reporting in the Anglophone region of Cameroon; Michel Biem Tong was working to report on human rights violations being committed by multiple parties, including government security forces, following the disputed presidential election. We believe that these spurious charges are linked to the human rights defender’s peaceful work in support of human rights in the Anglophone region. Moreover, we recognise that Michel Biem Tong’s arrest is part of a broader pattern of intimidation, arrest, and judicial harassment being led by the government against journalists working to uncover and report on human rights violations in the Anglophone region. Michel Biem Tong’s case demonstrates the government’s efforts to hinder the work of those who denounce the abuses perpetrated by Cameroon security forces by trying them before military tribunals. Since the Anglophone crisis erupted in 2016, human rights defenders working in the region have faced escalating threats; increasingly, in the last two months following the election, they have reported more regular phone surveillance, death threats, arrest, and detention. The Anglophone crisis begin in 2016 when teachers and lawyers began protesting the marginalisation of Anglophone culture in Cameroon. Since 2016, the crisis has become increasingly violent as some armed groups claim to be fighting for independence from Francophone Cameroon. Cease targeting all human rights defenders and journalists in Cameroon, especially those working on the Anglophone region, so that they are able to carry out their legitimate human rights activities without fear of reprisals and free of all restrictions, including judicial harassment.